SN0990 3690. The famous ancient monument Pentre Ifan or Coetan Arthur (Arthur’s Quoit) is located in a field beside a country lane between Penwern and Llwynihirion. The nearest village, Brynberian, is 2 miles to the south, while the nearest town is Newport on the Pembrokeshire coast, 3 miles to the west. Carn Ingli and the Preseli Mountains form a backdrop on either side of the ancient monument which is a Neolithic burial chamber, cromlech or dolmen, whatever you want to call it – they all mean the same thing at the end of the day – a place where some ancient chieftain was buried. Pentre Ifan is a Neolithic burial chamber, dating from between 3,000-4,000 BC, that was probably built in two phases. It stands on a slightly raised mound and is 8 feet high with a huge capstone that rests on the very tips of three upright stones. The entrance is H-shaped and is amost closed by a large blocking stone; at the south side (front) a semi-circular forcecourt and at the sides some of the kerbstones still lie flat. Originally the momument would have been covered over by a huge mound of earth over 36 metres (18 feet) long and 17 metres (9 feet) wide. Some of the stones have been robbed-away to the locality, but at least seven are in situ. The massive capstone is 5 metres in length and some 2 metres off the ground and, the whole monument is 5.5 metres in length. It’s wedge-shaped capstone weighs an “estimated” 16 tonnes. Looking at the capstone you could almost expect it to move at any moment, the balancing of this stone on it’s three supporting uprights is quite remarkable. There is a saying, locally, that a man could sit on horseback underneath the capstone, but I don’t know whether this theory has ever been tried out? The ancient monument stands on a slightly raised mound. Over the years there has been damage to the monument and so it has had to be partially restored when the huge capstone fell down, but you wouldn’t know it had. Archaeological excavations took place here in 1936-37 and 1958-59 but nothing significant was found, certainly no burials were discovered. But the excavations firmly placed the ancient monument to around 3,500 years BC, in the Neolithic age. This is almost certainly the best preserved of all the burial chambers in Wales. King Arthur is also associated with the site. It is said he placed the capstone into position or threw the stone to where it came to rest. Arthur is also said to have built the monument. These are just legends, but ones that have stuck. The famous king probably had no connection with it at all. The little people (fairies) are said to inhabit the area around Pentre Ifan, sometimes dancing around the stones! 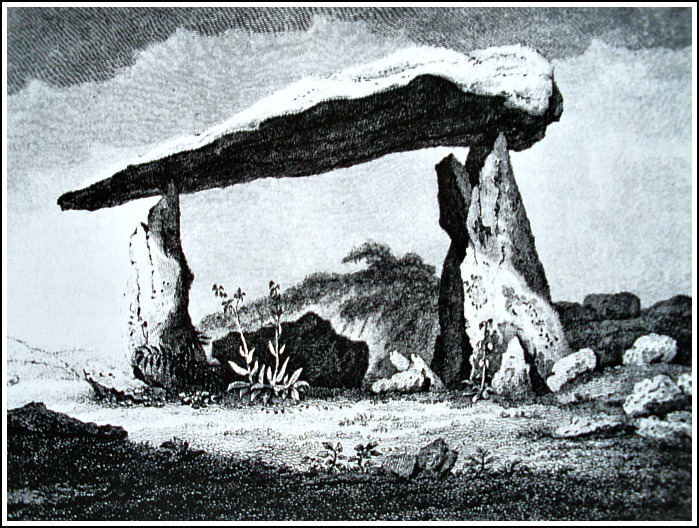 Categories: Burial Chamber, Burial Chambers / Cromlech / Dolmens, Neolithic, Pembrokeshire., Pentre Ifan, Wales. 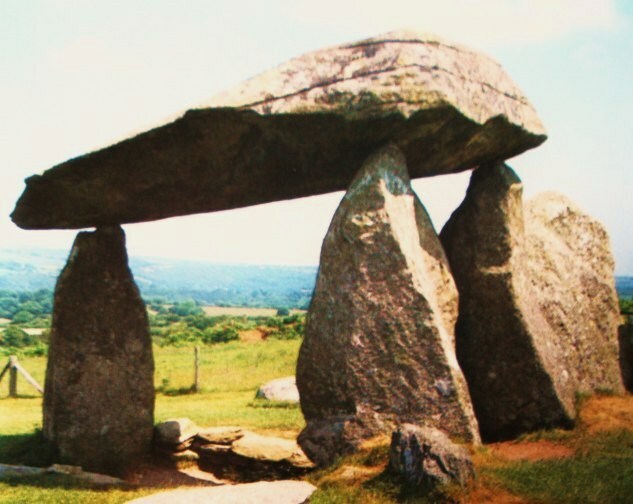 | Tags: Pentre Ifan Burial Chamber in Pembrokeshire Wales | Permalink.